Protecta Chill’s are a non-toxic water based refrigerant to protect, chill and secure packaging. These Gel packs are a safe alternative to ice providing improved shipping of temperature sensitive products. These are available in bubble padded and non-padded range. 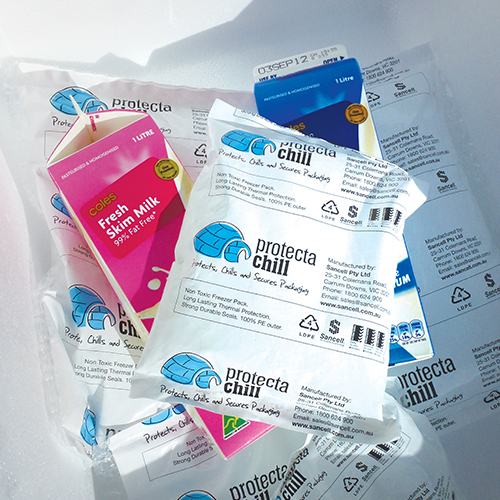 Protecta Chills are a popular alternative to using ice a with longer lasting thermal protection and no leakage.